This is live electronic performance as you have never seen it before. 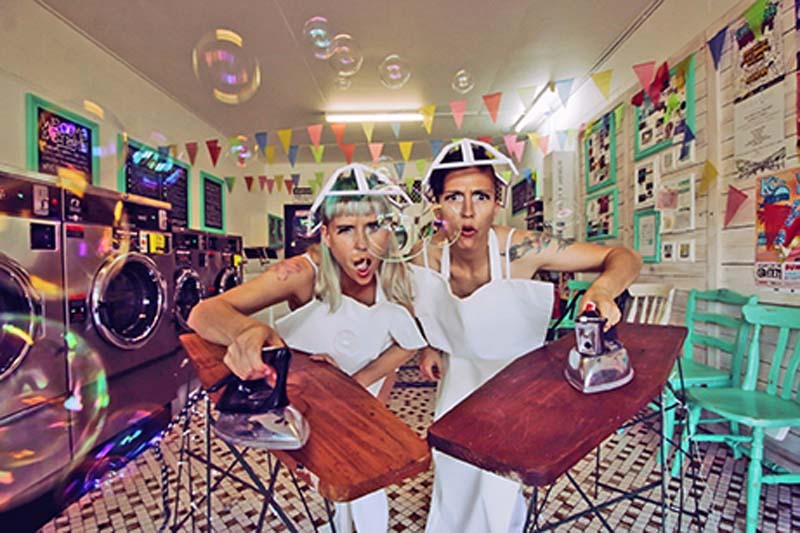 The Maidens use irons and ironing boards as instruments, as well as visuals, costumes lighting, dancing, heaps of energy and plenty of ironing puns. It is relevant and thought provoking, but at the same time wholly entertaining and funny.